Like frontier scouts taking early American settlers west, the artist manager must navigate his/her clients’ careers through the tangled opportunities that have become today’s entertainment industry. The digital era has given rise to a robust grid involving print, TV, radio, social networks, marketing and so much more. Lady Antebellum leads the fall release schedule as Own The Night is the first major album poised for holiday sales. Hitting shelves Sept. 13, there are high expectations at the cash register for the follow-up to the band’s 5x worldwide platinum Need You Now. On July 17 Doak Turner will welcome aspiring and accomplished members of his Music City family into his home for the 100th session of the 3rd Sunday @ 3 gathering. Superstars Taylor Swift and Shania Twain are in the mix this week, but both were trumped by lesser lights. Challenging the two divas for supremacy were excellent new sounds from Craig Morgan, Robin Meade, Royal Wade Kimes and Jody Jenkins. 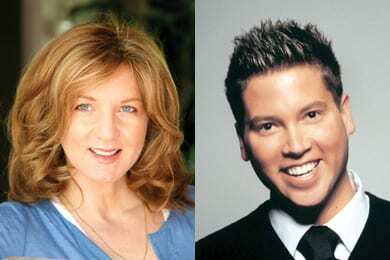 Nashville-based Flying Island Entertainment has finalized its radio promotion staff with the addition of Shelia Shipley Biddy, Brian Fee, Jill Tomalty, and Bonita Allen to the team. The group’s first project will be FUNL Music artist Amber Hayes. Publishing veteran Pat Finch has entered into a joint venture with former S1 Songs Group CEO Steve McMellon and Reynold D’Silva (founder of UK indie Silva Screen Records) to form Pat Finch Music Publishing/Southern Crossroads Music.